The Geek Culture Forums! 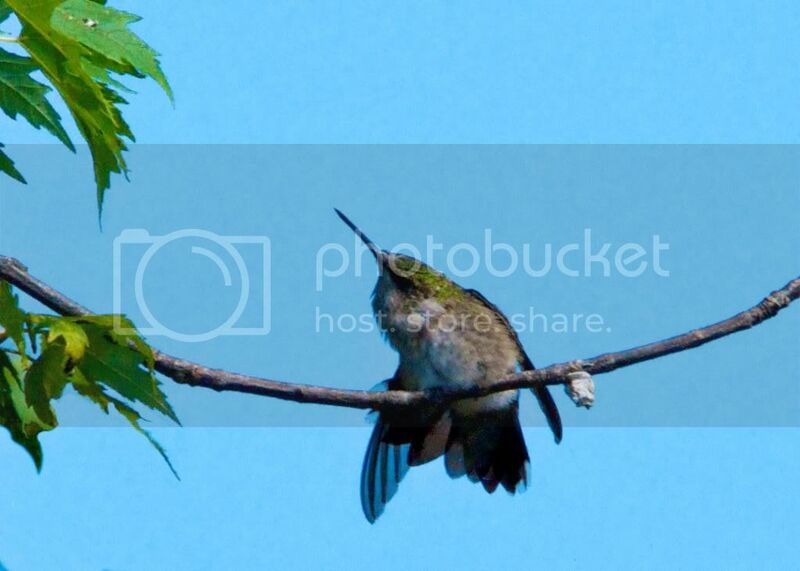 : Perched Hummingbird in Wind! » The Geek Culture Forums! » News, Reviews, Views! 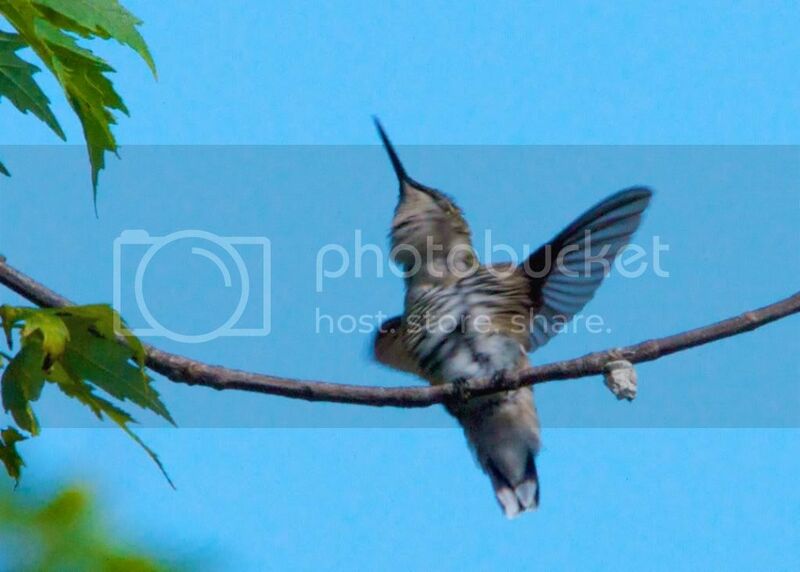 » Our stupid lives » Perched Hummingbird in Wind! 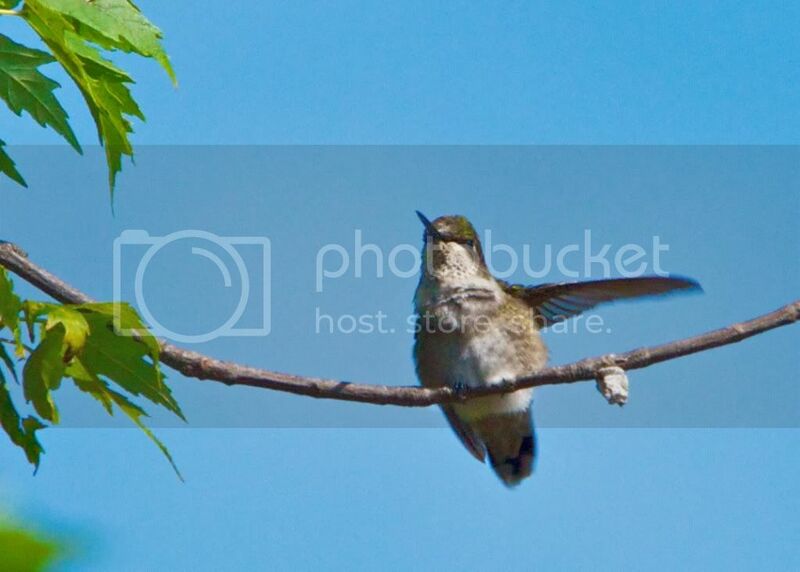 Author Topic: Perched Hummingbird in Wind! It has been very windy at el Rancho de Geek. And there is not a politician in the site! Ha. Ha. Ha. 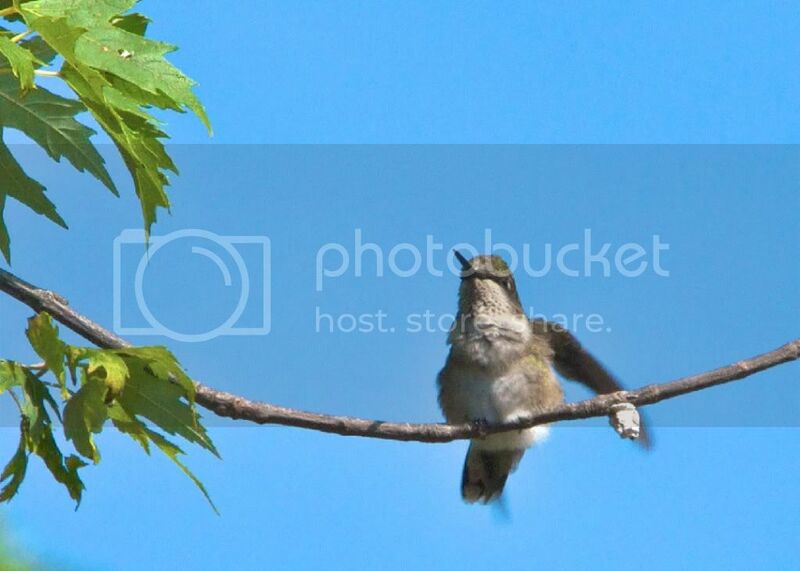 But Mrs. Geek 2Me did see a Hummingbird in a tree. And that bird sure had a hard time windy-surfing. I shot the photos with a big, slow Sigma 500mm zoom and still cropped to 140%. Boy those birds are small! Boy that lens is slow to focus! Those pictures are pretty nice, Mr. Skippy. Thanks for sharing! 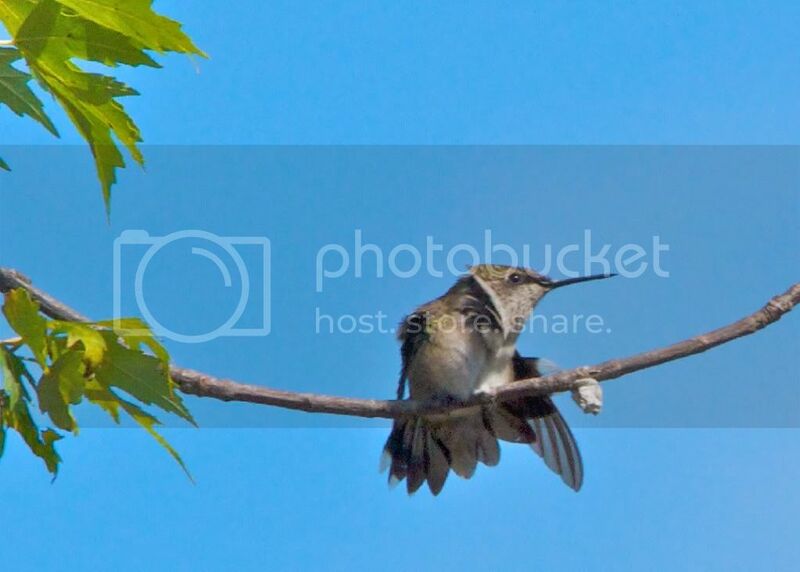 What is crazy is realizing that the pictures, even on my relatively small display, are larger than the bird is in real life. 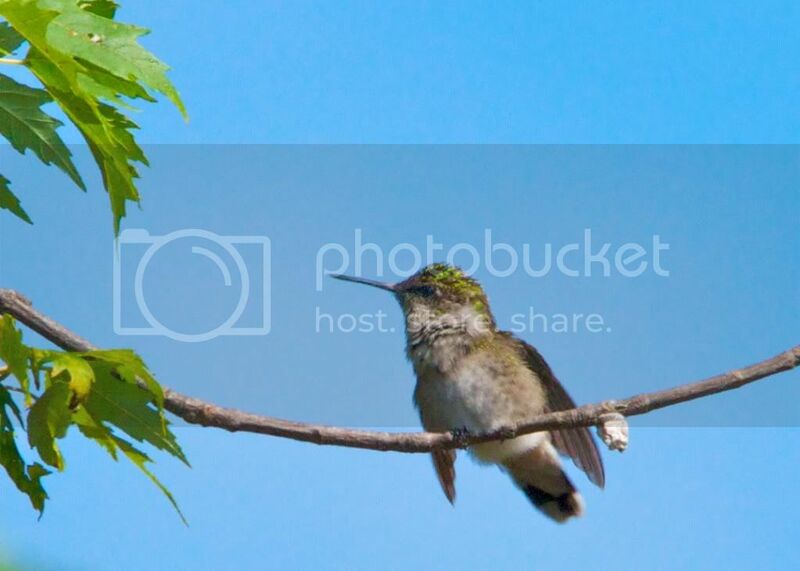 I was privileged to see a few hummingbirds in the wild about three weeks ago. They're amazing to watch. I love the iridescent green! 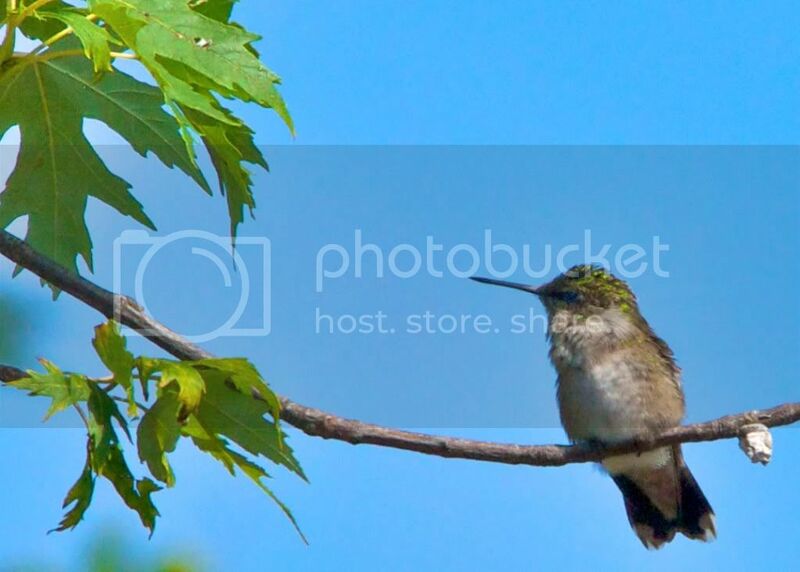 I've only seen a hummingbird actually perched one time in life, and then only for about 2 seconds. ____ About six years ago, I thought I was being buzzed by a June Bug, I swatted at it and almost had my hand speared by a beak. 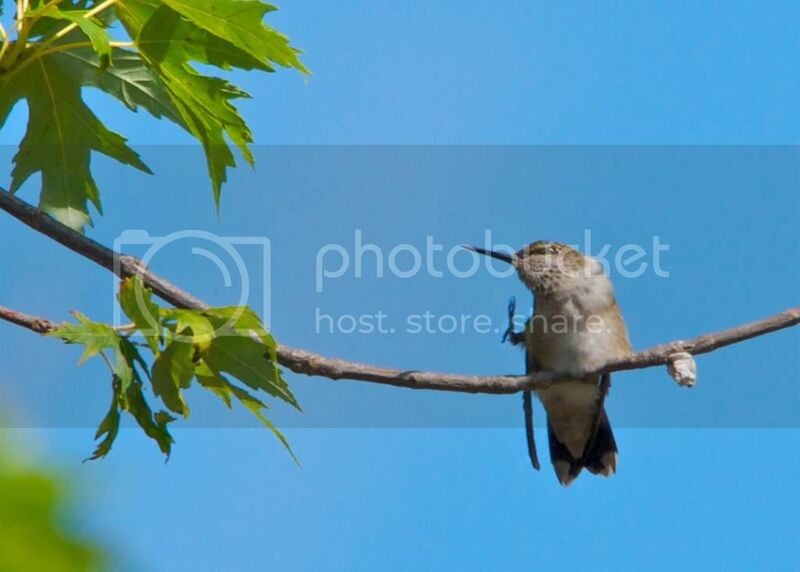 Me thinks that both of us would not have liked that outcome, anyway the little guy flew off to other persuits and left me to wonder what about me was atracting a Humming Bird. I am sure the Mrs would not claim that it was my sugary disposition.